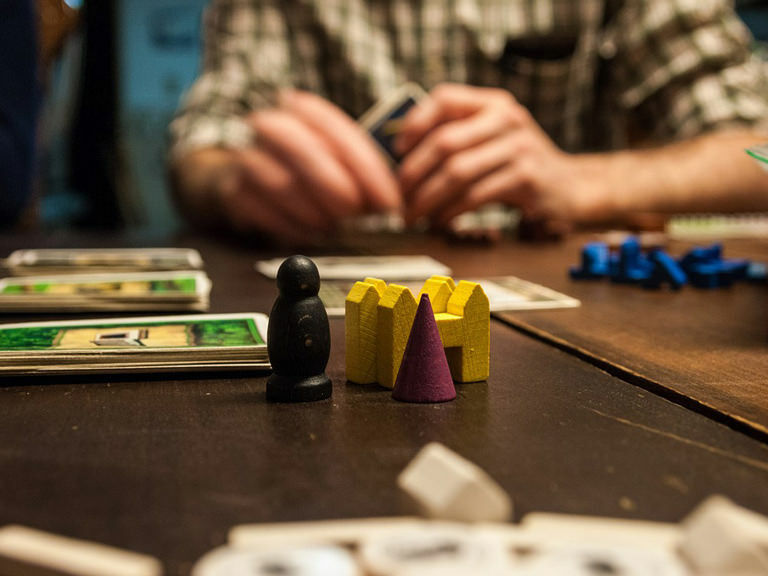 Students in the Games Club play Super Smash Bros, Magic the Gathering, Ticket to Ride, Dungeons and Dragons, Betrayal at the House on the Hill, Sheriff of Nottingham, and other popular games. Members usually gather twice a week in the Kelly Commons Game Room. The club sponsors annual campus events such as Magic the Gathering drafts, and in the past, members have participated in area tournaments, including League of Legends. The Games Club is open to all students. Sign up at the biannual activities and volunteer fair which happens at the start of each fall and spring semester, or contact the club directly at gamesclub@manhattan.edu.